In a former post, I addressed 7 Skills More Important Than a Technical Degree, and promised to address the skills necessary to gain a more technical Product Management role. On a quest to better understand the skills and experience required to manage a more technical product, I found that the experience referred to wasn’t always years of experience, but rather knowledge around more technical subjects (e.g. how to use an API), of which I didn’t have expertise in from my former roles or educational background. If you’re already a Product Manager in a non-technical role, you are surrounded by people working in different technical capacities. Use them as an educational resource! Ask questions about the things you don’t quite understand — request that they draw pictures around how things work and don’t be afraid to ask why. Most people are more than happy to teach their peers, especially if it’s around a topic they enjoy. I realize this isn’t news to you, but social networks like Twitter, Reddit and Hacker News are great resources for learning about trends in the design and product space. You’ll tend to see things first show up on Reddit and Twitter then later news outlets. Get ahead of the curve by reading what (and where) your audience reads. For learning more tangible skills, read O’Reilly books; there is a large collection of teach yourself books (e.g. learning PHP, HTML, Node, APIs). PS: Beyond learning only about the technical aspects of Product Management, read Simon Sinek’s Start With Why and Eric Reis’s The Lean Startup — these are two well known and respected authors and books in the product development space. Their books educate you around ways to implement innovative product management thinking. The best way to learn is through application, so write about what you want to know! As a blogger, you’ll naturally perform market and customer research. Quickly, you’ll get a sense for the general public’s perspective and find other people whom you can gain other perspectives from (e.g. other writers). The product’s marketing copy and customer perceptions will provide insights around how a product works and why people find it valuable. Appear knowledgeable and on-point by using statistical data and related quotes from industry leaders in your writing. Consist blogging and sharing of relevant content around a product or topic will soon define you as an authority figure. Connect with people in a more technical Product Management role during an event or through LinkedIn. Ask to buy them coffee and pick their brain around what they do and how they got there. You’ll quickly find that people are more than willing to help you — expect great advice and additional introductions. And yes, this is all accomplished through the tiny price tag of coffee! Enroll in free online courses with an option to gain a certificate or degree. Some of the top-tier colleges like Stanford, MIT and Harvard even offer free courses. For programming classes, take classes through Codeacademy or Khan Academy. Remember that you’re aiming to move into another role, so whether it’s within or external to your current company, you want to projects or courses to your resume and portfolio showcasing that you’re working toward gaining the skills you lack. Since the majority of software companies use Agile methodologies, you’ll better understand the software development and resource management process through practicing Agile and obtaining an Agile Certificate. Additionally, you’ll better foresee and manage potential risks, interact with stakeholders, resolve problems and improve people, processes and the product. Analytics succumb all aspects of a business –from the sales and marketing side to the product and design side (percent change in revenue YoY, customer engagement with a new feature, bounce rate, mobile use percentages, etc.) — and with continued importance on real-time decision making based on data, Product Managers need to understand what the data means and what decisions to make based on that data. By enrolling in a Google Analytics course(s), you’ll learn how to track data (e.g. marketing campaigns) and evaluate data through in-depth analysis. With this knowledge, you can successfully provide advice and reasoning around product related decisions. As we know, storytelling through data is the most persuasive narrative. Product Management is hard work, and moving into another role — vertical or horizontal — is an exciting challenge. If you can show progress toward learning a skill in an area you’re interested in, your passion and determination will shine through. 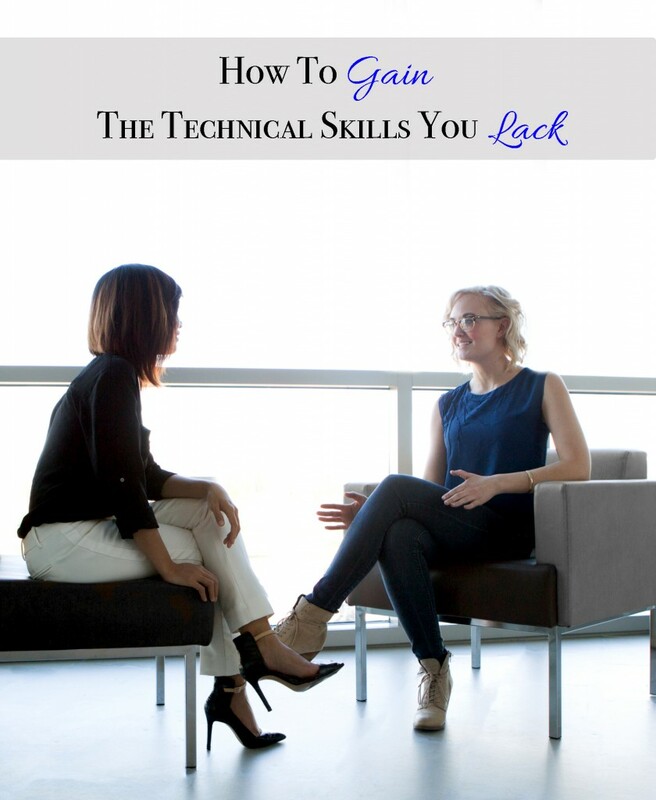 Stay positive if you hear you need to work on a few technical skills. As John C. Maxwell once said, “dreams don’t work unless you do,” so stay positive, work hard and you’ll get to where you want to go! This entry was posted in Product Management and tagged 2016, Become a More Technically Proficient Product Manager, Carolyn Spencer, how to, mcc, product management, rit, Rochester, seattle, skills, Software, Technical Skills, Trends. Bookmark the permalink.